Tegu is one of those companies that has a truly great origin story. The company was founded in 2006 by two American brothers. Chris and Will Haughey are using Tegu to help improve Honduras–one magnetic wooden block at a time. The socially good company offers free trade magnetic blocks, thereby providing sustainable living to Honduran workers. In addition, Tegu participates in tree-planting efforts and school funding. I have been wanting to pick up Tegu magnetic wooden blocks for my daughter for quite some time. In part because I have heard/read so much about them online; and in other part because my co-worker has raved so much about how her daughter loves them. And about their great company history! I had the fortunate opportunity to pick up the 14-piece wooden magnetic block set used for an extreme discount of $9. And now after several play sessions with my daughter, I am convinced that they would have been a worthwhile purchase even at their regular price (MSRP = $34.99). As further noted in the Tegu blocks review roundup in the next section, I experienced the frustration with magnets doing magnet things. Namely, the blocks repelling when attempting to connect in a certain way. Unlike other reviewers, I don’t see this as a negative; instead, I view it more as a feature. Children, from an early age, can learn exactly how magnetic poles work. And, all it takes is a quick rotation. Though, I understand that some kids could become frustrated by this. My daughter, though, has not let it stop her from playing with them. They have not become a staple in her home playtime, but the 14-block set is easily packed up for car use. And this is where the strong magnets really shine. They can be played with extensively in the car and rarely do I or my wife have to turn around to pick up a block. After two weeks, I find that the Tegu magnetic blocks match their reputation. 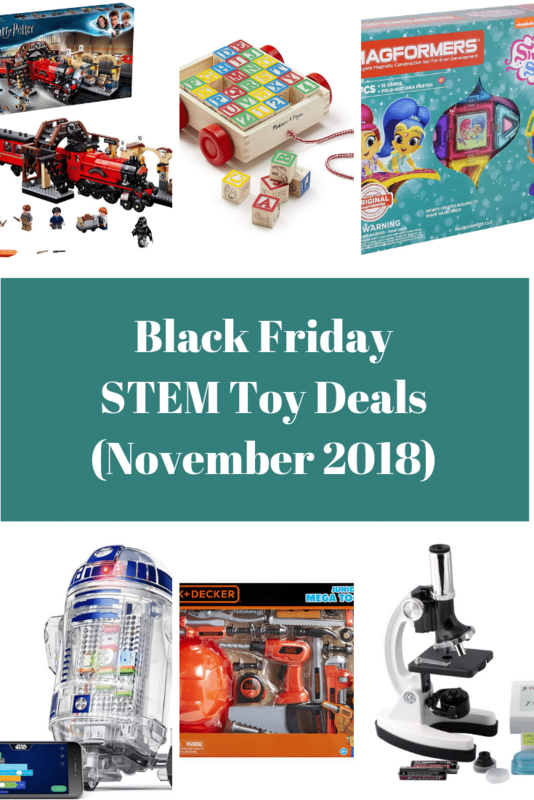 Many customers, including myself, love the idea of free trade toys like Tegu blocks. It’s nice to know that you not only purchase a well-made, quality-wood block, but do so to support quality living in another country (in this case Honduras). With most, and perhaps all, fair trade goods though comes a higher price relative to seemingly comparable items. Tegu blocks are no different with an average cost of around $2.50 per block in the 14-piece set. Depending on your budget the expense can make it difficult to expand your block collection. And several customers note the desire to expand either because they just love the blocks so much (positive!) or because they feel the smaller sets are not enough blocks for their child to fully explore his or her creative options (not so positive!). 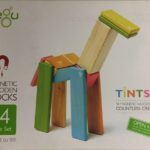 Many reviewers though comment on the durability of the magnetic blocks and note that, aside from perhaps the paint, the blocks can withstand many years of use. This leads a large number of parents to view Tegu blocks as more of a long term toy investment moreso than cheaper made plastic toys. One person has even referred to them as the type of toy you pass down for generations. Whether or not this actually happens, it is clear that Tegu blocks are durable and respected. The main reason I and others like them is the ease with which children can build with them. With a simple click-clack, toddlers and even babies can quickly make their own creations. The standard shape, as mentioned above, provides interoperability between Tegu sets. And the use of colors and common shapes provides extra educational value (What color is this block? What is this shape?). In addition, the magnetic construction lends well to explanations about how magnetic fields and north/south poles work. Particularly whenever children inevitably have difficulty connecting the blocks. As I mentioned earlier, I find this a great teaching opportunity but fully understand why it is one of the most common complaints. However, hopefully children find working with magnetic polarity more fun than frustrating. Of course, Tegu leaves out much of the juicy details (notice the TOP SECRET label on their machine!). 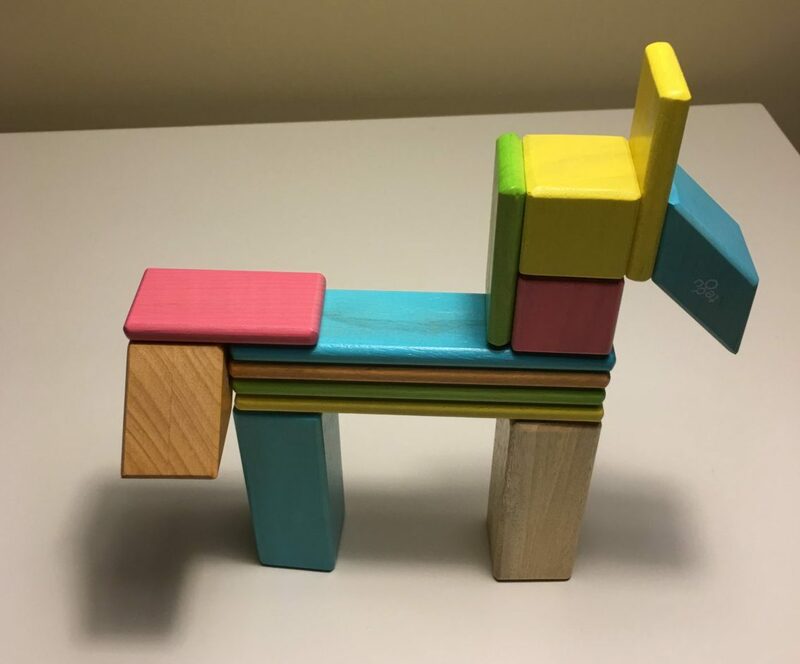 Some people have speculated that Tegu cuts the blocks down the middle (you can sometimes see a small remnant that appears to be cut marks) and inserts the magnets. Honestly, in my household, we are too busy enjoying the blocks to worry much about their construction. The most important part about their construction is the standardization: all Tegu blocks work in 30 millimeter units. These allows for every block to interact with other Tegu blocks. Unfortunately, it is quite unlikely that you will come across Tegu blocks in thrift stores or discounted very often. Luckily you can find them from major retailers like Amazon or Target. You can also buy directly from Tegu. It may cost you a few extra bucks, but they really are a great company. Mastermind Toys has creating an excellent video highlighting the important parts of Tegu Blocks.